How to Maintain An Egg Tray Machine? Maintenance is essential for all machines, including egg tray machine. 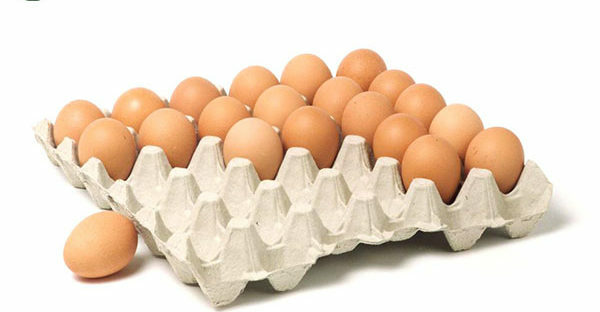 On the one hand, to maintain egg tray machine regularly is good to increase its service life. On the other hand, it can also greatly reduce the failure rate. 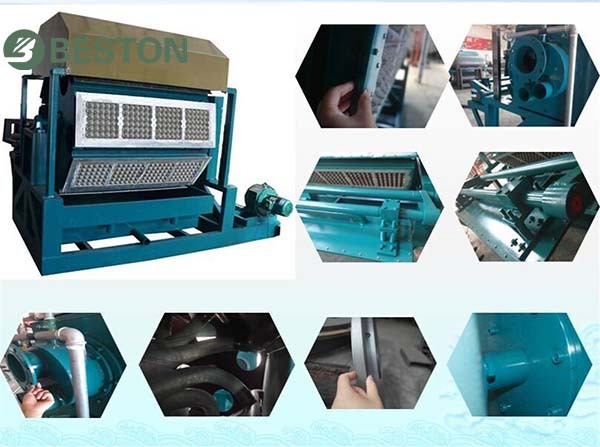 Beston Machinery is a professional egg tray machine supplier in China. We have focused on manufacturing pulp molding equipment since 1998. In the past 20 years, we have developed excellent craftsmanship of designing various molding dies. Meanwhile, our mechanical technique also has come into maturity gradually. 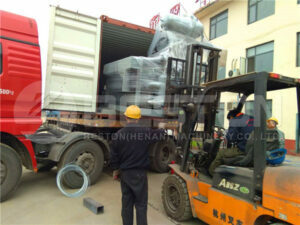 Our products are successfully exported to many countries around the world. On the basis of our rich experience, we have some advice for daily maintenance of paper egg tray making machine. 1. Clear up pulp molding dies in time. There are two kinds of molds in a paper tray forming machine, namely, forming molds and transfer molds. As you know, molding dies directly influence the appearance of pulp molded products. Thus, it is better to clean the residuals in time. Beston often installs cleaning devices to flush the forming molds quickly after demolding. For example, there is a water tank under the molds. The molding dies will be immersed in the water during rotation. It can wash the residuals of paper pulp off quickly and effectively. It is very easy and safe to operate. However, if there is not a cleaning system, you need to clean the molds manually with a soft tool and neutral cleaner. 2. Check your egg tray production line immediately. It is natural that the egg tray machine itself will wear out gradually. If there is something wrong with your egg tray production line, you’d better stop and check it immediately. And you can use it after you remedy of the trouble. While we always check and test our paper egg tray machines strictly before they are put into use. Besides, we also adopt the most advanced technology to improve the stability and performance. Our machine is under a one-year free warranty. 3. Adjust your pulp molding machine properly. 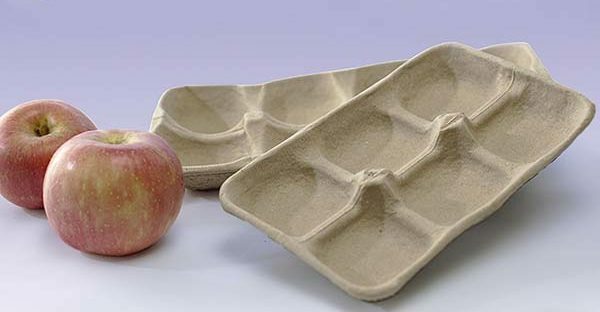 Beston supplies multifunctional pulp molding machines, which can produce different paper trays with demountable molds. If you change the molding dies, you should clean the surface up first and adjust it to the best position. We have skilled engineers to offer you the best service. In addition, we can also provide our clients with professional training and full after-sales service. If you need more professional information to maintain egg tray machine, please contact us now!